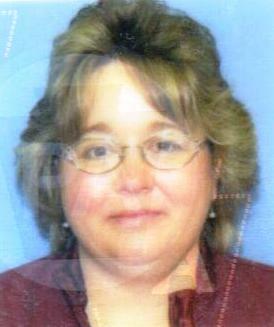 Obituary for Lynne L. Hartsuyker | Hile-Best Funeral Home, Inc.
Lynne L. Hartsuyker, 58, of Rouseville, died on Thursday afternoon, January 31, 2019 at Allegheny General Hospital in Pittsburgh, following an illness. She was born in Oil City on October 19, 1960; a daughter of Raymond and Beverly (Stewart) Schwab. She was a 1979 graduate of Cranberry High School. Lynne enjoyed crafting, spending time with her grandchildren, and spending time at their summer camp on Kibbe's Island. Lynne first worked at the Red & White Market in Tippery, where she met her husband, Lloyd. She later worked in the cafeteria at both Cranberry High School and UPMC Northwest Hospital, and as a hostess at Bob Evans Restaurant. She was married in the Heckathorn United Methodist Church on February 3, 1984 to Lloyd E. Hartsuyker, Sr., and he survives. Also surviving are her parents, Raymond and Beverly Schwab of Coal Hill; three children: Lloyd E. Hartsuyker, Jr. and his wife Jessica of Seneca, Lynette Hartsuyker and her significant other Matthew Peterson of Rocky Grove, and Richard Hartsuyker and his significant other Alyshia Dykins of Fertigs; her beloved grandchildren: Dakota, Lana, Kandi, Sadie, Madalynn, Lorelai, and Jensen; and she was anxiously awaiting the upcoming birth of two additional grandchildren, Jacob and Delaney. Two great-grandchildren also survive, Aiden and Kayleigh. Also surviving are two brothers, John Schwab and his wife Tammy, and Barry Schwab and his significant other Brenda; two sisters, Ann Lowrey and her husband Jay, and Doris Kaber and her husband Greg; and numerous nieces and nephews. She was preceded in death by a brother, Bryon Schwab; and her grandparents: Lloyd and DeElda Stewart, and Lloyd and Bernice Schwab. Friends and family will be received Tuesday (Feb. 5th) from 4 - 6 p.m. in the Hile-Best Funeral Home, 2781 257 in Seneca, Cranberry Township. No funeral service will be observed. In lieu of flowers, memorial contributions to assist the family with funeral expenses may be made to Hile-Best Funeral Home, PO Box 245, Seneca, PA 16346.